Share & play - we learn, we share, we play! Get young generations interested in Handball, and to be more active and healthy by combining sport activity and education after-school. Share & Play is an innovative program for youth and adolescents to learn the values of team sport while they are practicing Handball. They simultaneously gain cognitive skills applying different topics such as Geography and Math within the exercises. Trained professionals teach and coach the new generations, giving them assistance across year and a framework to interact and grow after-school around four pillars Teamwork, Respect, Interaction and Healthy habits. The program is designed for young generations to have fun and share experiences within their community. They grow by learning and playing as a team all year long. 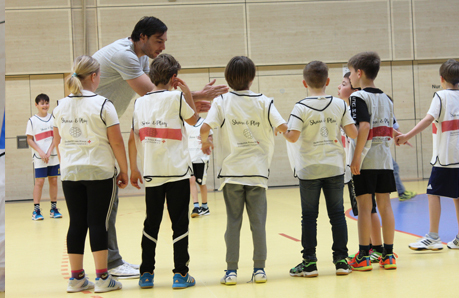 As in professional Handball teams, they work to create great values and interaction skills at an early age. During an important developmental time in their lives, Share & Play helps kids to become better able to grow multiple skills both physical and cognitive. Following the program, kids will be better prepared to face future group activities and to give their best effort. By being a part of the program may also prevent childhood obesity and by reducing medical costs for government agencies. Share & Play is also a job opportunity for former professional sportsmen to solve the problem of unemployment after their retirement. In the program they can get the right tools through a certification and leverage all the values they previously obtained in their careers. It is an economic and educational opportunity to go over the challenge of sport retirement. It also brings former professional players a new growth perspective. They become experience Share & Play coaches and apply useful tools ready to make a difference to young generation’s life. All of this by playing! 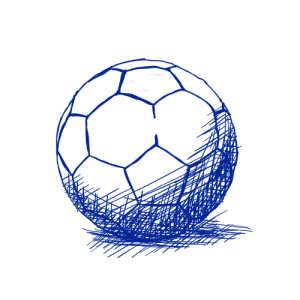 Kids have to make their own decisions in the games in order to achieve a good result. We guide them through the game but they need to solve the different problems that appear. We guide them to figure out the best way to go. They will understand how important is calculation in Sport. The importance of communication is present in every game and they´ll understand that´s the key of success. A great oportunity to make a positive social change in our relationships. Obesity is becoming more common due to sedentary lifestyles, poor recreational tendencies, and limited physical activity. Share & Play allows kids and teenagers to play and learn through Handball. They are learning about topics like mathematics, geography, STEM and health while practicing sport. After many years of exclusive dedication in sport, it´s often difficult to reintegrate into society: the two primary challenges for former professional athletes to get a job are beginning non-sport work at an older age, and doing so without having established a track record of previous non-sport working experience. Life changes dramatically and it´s time to structure all the sport experiences and use it for a purpose. 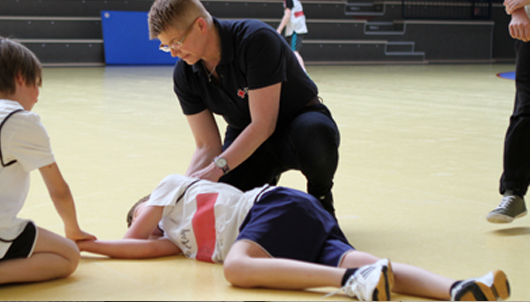 Sportsmen are making the difference with their sport experiences and that´s a way to put it all into practice. 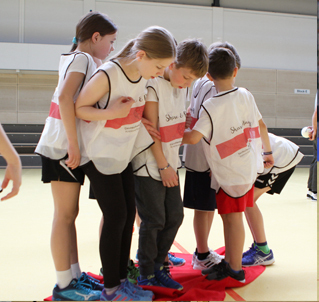 Using handball as a vehicle to teach sport values. We implement different games with special rules to promote the integration, gender equal, the inclusion and the teamwork between all the participants. Every game has a different target and kids need to improve and adapt themselves to every new situation. A social component is present in every session, prompting the kids to work together and to make the decisions as a part of the team. Share & Play methodology uses the sport values from an holistic perspective around three pillars. Firstly, it applies team sport principles inspired from sport professional level. Secondly, it focuses on three areas of skillset: sport , communication and theoretical knowledge. Thirdly, it allows multiple stakeholders to join forces. We indeed work with schools, professional sport clubs and well-known institutions..